A Chinese appellate court upheld a four year prison sentence imposed earlier this year on jailed legal scholar and human rights advocate Xu Zhiyong. Xu Zhiyong faces a four-year jail term on charges of gathering a crowd to disturb public order. He was accused of organizing protests in 2012 and 2013. In addition, Xu’s assistance to create the New Citizens’ Movement that seeks official disclosure of assets has created a stir in the communist country. Xu was born in Minquan County, Henan in 1973. The U.S. Department of State expressed dismay following the court’s decision. In her remarks in Washington DC, US Department Spokesperson Jen Psaki said the United States is deeply disappointed that a Chinese appellate court upheld the four-year prison sentence fo Xu Zhiyong. The US considers that the prosecution of Xu and others is part of a deepening pattern of arrests and detentions of public interest lawyers, Internet activists, labor activists, journalists, religious leaders and others who peacefully challenge official Chinese policies and actions. The US government also reiterated its call for China to remove restrictions on their freedom of movement, and guarantee them the protections and freedoms to which they are entitled under China’s international human rights commitments. Earlier this year, Xu Zhiyong was convicted of assembling a crowd to disrupt public order and sentenced to four years in prison. According to media reports, the charges are related to small-scale, peaceful street protests by members of his movement called the New Citizens Movement. 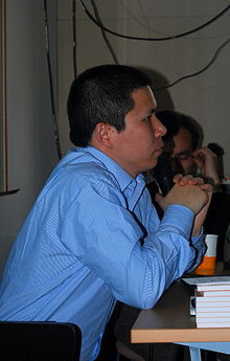 Xu is a legal scholar and has been a high-profile activist advocating for rights in China for a decade. The Chinese Court found Xu guilty of “gathering a crowd to disturb public order” following his closed-door trial on Wednesday. The hearing and the sentencing took place under heavy security where journalists and diplomats were prohibited to attend. Xu Zhiyong was born in Minquan County, Henan in 1973. He founded the New Citizens’ Movement in China which was fined 1.46 million RMB on July 14, 2009 for ‘dodging taxes’ and was shut down by the authorities. In 2009, he was arrested at his home, and detained by Chinese authorities on charges of tax evasion. The activist was under house arrest since Apr 12, 2013, and he was detained on Jul 16, 2013. He was formally arrested on August 2013.